I was talking with Meghan Anderson, VP Marketing for HubSpot, about how much has changed (and how much hasn’t) over the last 10+ years since HubSpot brought us the Inbound Marketing Revolution (okay, a little blog hyperbole). At a recent Inbound conference, Brian Halligan, HubSpot’s CEO, shared what led to the entire idea that became HubSpot. He shared that while their product was designed to enable marketers, the idea didn’t spring from focusing on the problems that marketers had. Instead, they focused on the problems that the targets of marketers - people - had. In that exploration, they realized that things were fundamentally changing and the buyer was seizing control of their own buyer’s journey and experience. This discovery led to what Halligan and Dharmesh Shah, Brian’s co-founder, called Inbound Marketing. Inbound represented - and still represents - a mindset, beliefs and principles far more than any series of tactics or processes. Being Inbound is to acknowledge that the customer controls the game today and businesses need to rise to meet the demands and expectations. While the tactics (and technology) are changing at an increasingly rapid pace, Inbound, The Philosophy is as relevant today as it ever was. As I shared earlier, being Inbound is a mindset. It’s based on a series of beliefs and principles. You’re Inbound when you stick to these beliefs even if they don’t always play to your advantage currently. Make no mistake, you can implement inbound marketing - hell, you can be the poster boy for inbound tactics - without being Inbound. You can create value without being Inbound (Wal-Mart creates value, but they’re not Inbound). Being Inbound is a choice. In my view, it’s a commitment to the following 7 principles (Meghan, let’s call this the first draft of The Inbound Manifesto). 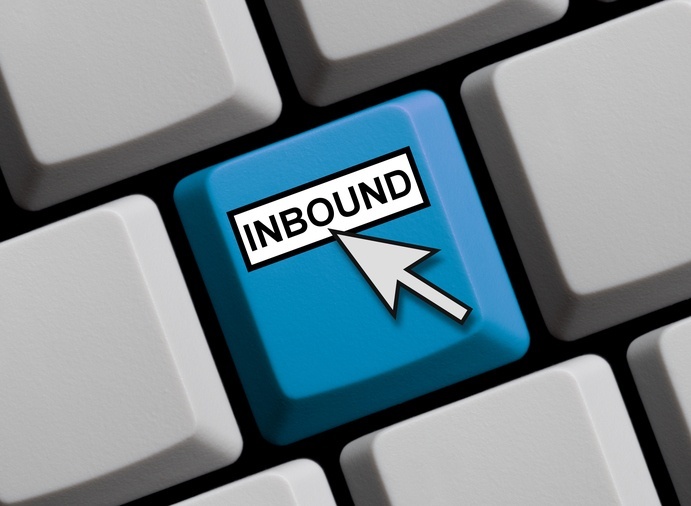 Inbound was born with the realization and acceptance that the customer controlled the game. Being Inbound means that you put the customer at the center of what you do. It’s not lip service. It’s the commitment to deeply understand who your customer really is. You strive to understand your customers as well as or better than they understand themselves. It’s also about accepting who your customers aren’t. Being Inbound is about making the choice that you (and your company) are going to be the best for a select few, rather than me-too for the masses. Being Inbound requires that you focus on your customer, rather than your competition, or even your stockholders and employees. It’s about solving for the customer and having the belief that aligning your customers' interests with yours (and even, reasonably, putting them ahead) leads to better outcomes, even when it may not make (economical) sense at the moment. You must be brave to be Inbound. You accept the fact that there’s no idea, product feature or “secret sauce” that makes the difference. Being Inbound is about sharing. Blogging is powerful, not because (or not when) you simply write 750 - 1,250 words that you post 2 - 3 times/week. It’s powerful because you have the valuable insights that take 4,000 words a week to share. When you’re Inbound, you don’t worry about people stealing your ideas - you hope they do. You realize that job #1 is to help and that by helping the demand for your services (or products) will follow. And you know what? If sharing results in someone being able to do it on their own so they don’t end up buying from you, then you’ve still succeeded. Don’t get me wrong. This can be very scary and it’s why it requires courage. Inbound is not a short-term pursuit. If you want results next week, next month or even next quarter, being Inbound isn’t going to be enough. You’ll most likely abandon being Inbound, using, at best, inbound tactics (and most likely pondering why inbound doesn’t work anymore). Being Inbound prioritizes the long-term over the short-term. You may have big goals for the short- and long-terms. That’s great, I encourage it. Being Inbound, however, means that it’s far more important that you hit your three-year or five-year target than that you hit your one-year target. What’s more, you’re willing to sacrifice your one-year target (reasonably) in pursuit of your long-term target. You can’t blame people when they do this. After all, they invested millions of dollars in money, time, sweat, fear and soul. They took a tremendous risk and there was no guarantee of success. It’s natural (and many business advisors would say it’s correct) to move the focus to exploiting your discoveries. Now, there is nothing inherently wrong with that, but when you follow that path you are not being Inbound. If you’re Inbound, you realize that you’d better “cannibalize yourself,” before someone else does (remember that investment mindset). When you’re Inbound, you may be exploiting, but you’re always exploring. You test everything, because you know change is the only constant and you want to pick up the signal and “skate where the puck is going to be” before anyone else. Crowdsourcing and consensus is not being Inbound. When you’re Inbound you're bold enough to lead. You’re willing to be the one person questioning what everyone else takes as gospel. You have the confidence to stand out and risk rejection…and failure. But, you’re humble enough to listen. You know that success is the delicate balance between leading and teaching your customers, and listening to them and following their path. You realize that you serve at the willingness of the customer and the customer can be a fickle companion. You know you are always earning their time, attention and trust. My favorite attribute of Inbound is that you’re real. There’s no “one inbound playbook.” To be Inbound is to create your playbook. If I’ve learned one thing about the difference between successful companies and those that aren’t, it's that failures have a lot in common. But, success stories are idiosyncratic. They break some rules. They’re unique. Being Inbound is accepting who you are. It’s about being real, being vulnerable and being open. You’re bold (and you may even be a bit arrogant) and you realize that in your boldness, in your effort to push the envelope and solve for the customer, you’re going to be wrong sometimes. When that happens and you’re Inbound, you admit it, acknowledge it, fix it and get right back to being Inbound. This is what Inbound means to me. I’m curious, what does it mean to you?